Enjoying a ride in Joseph Stalin’s beautiful Packard. “Ask the man who owns one,” Packard ads boasted. It was easy to be proud, the brand was akin to America’s Rolls Royce, positioned above lessers like Cadillac, Imperial, and Lincoln, it was driven by captains of industry. 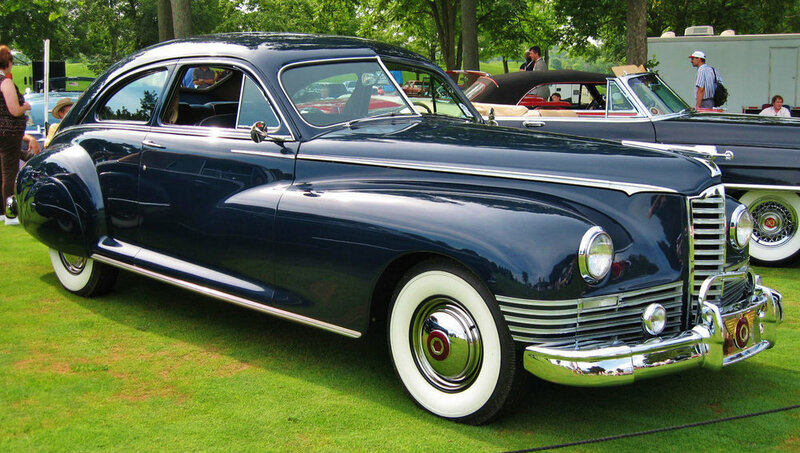 Sadly, by the mid-twentieth century, Packard was reduced to selling re-badged Studebakers to a world that had moved on. James Ward Packard produced his first cars in Warren, Ohio in 1899. The brand soon earned a reputation as an innovator when it introduced the modern steering wheel and the first 12-cylinder engine. His excellent engineering attracted investors and Packard moved to Detroit where he commissioned the world’s biggest, state-of-the-art factory designed by famed architect Louis Kahn. 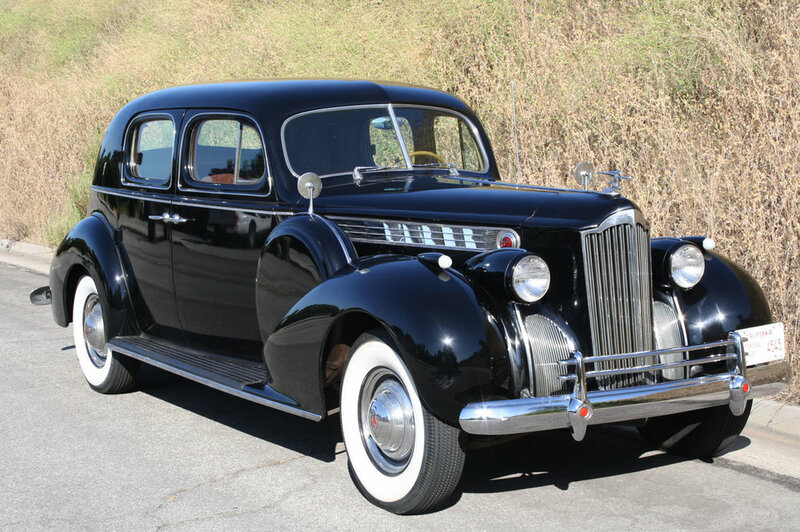 Packard soon established its position amongst America’s premier brands as one of the “Three P’s,” that included Pierce-Arrow and Peerless. Packard outlasted its competition to assume its position as America’s top car brand in the period immediately before WWII. 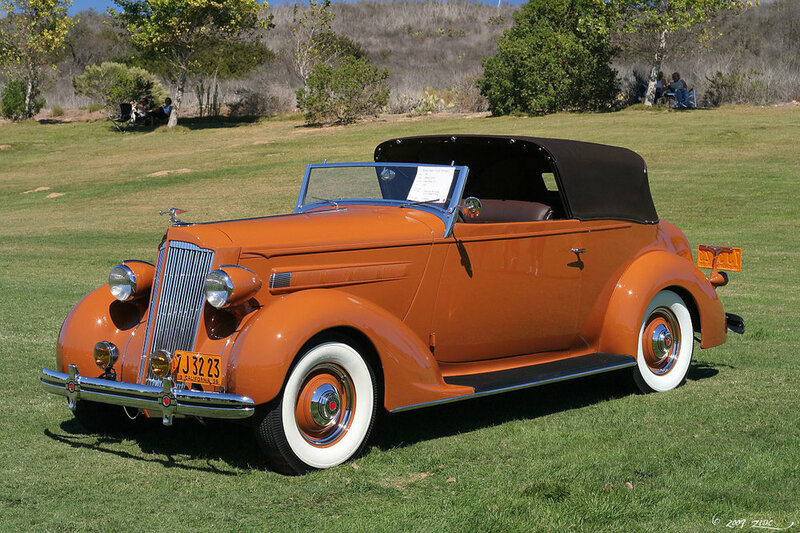 The company’s introduction of mid-priced models during the depression of the 1930s proved a two-edged sword; it brought much needed sales, but cheapened the car’s image as America’s unchallenged premier brand. Packard helped America win WWII with massively powerful 12-cylinder engines it built for fighter planes including the P-51 Mustang, one of the fastest piston-driven airplanes ever. 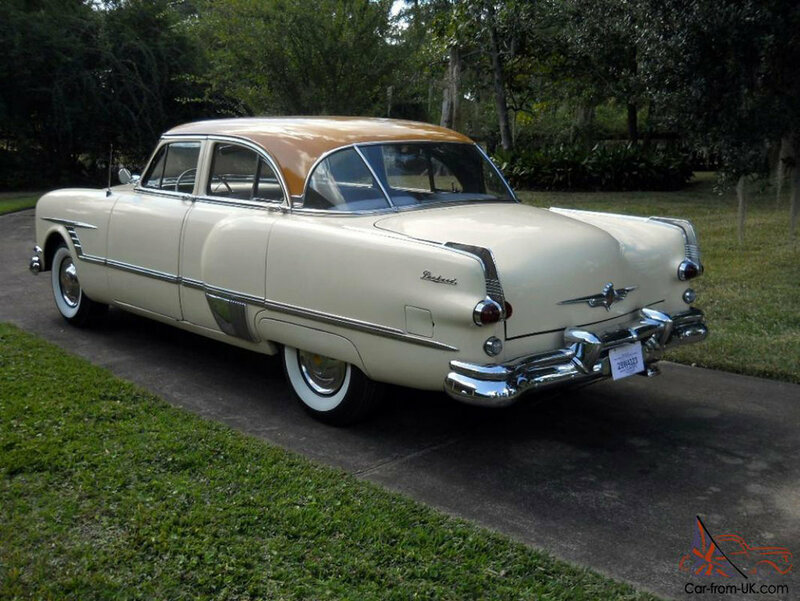 Packard introduced its first new postwar car for 1948, adopting the “bathtub” body style that had been widely predicted as the future look of American cars, but only small independents Nash, Hudson, and Packard adopted the chubby style. 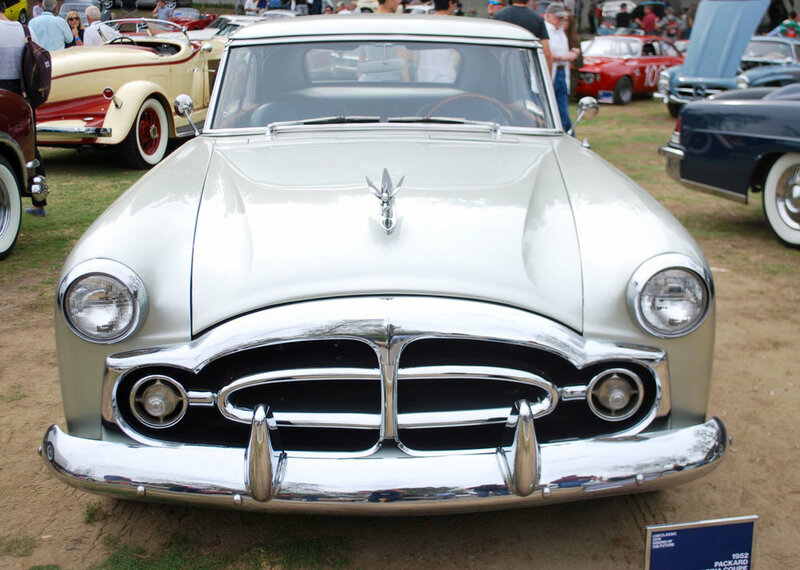 Packard realized its design mistake and brought out a totally revamped, modern “three box” body design for 1951. The new look was received with mixed reviews. 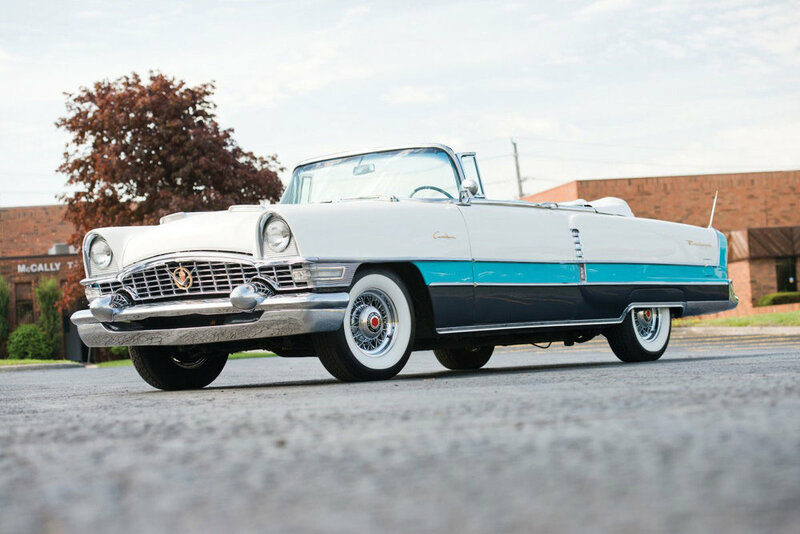 Struggling to find a sweet spot, the company re-introduced a lower-priced Clipper in 1953, the same year it debuted a glamorous Caribbean convertible. 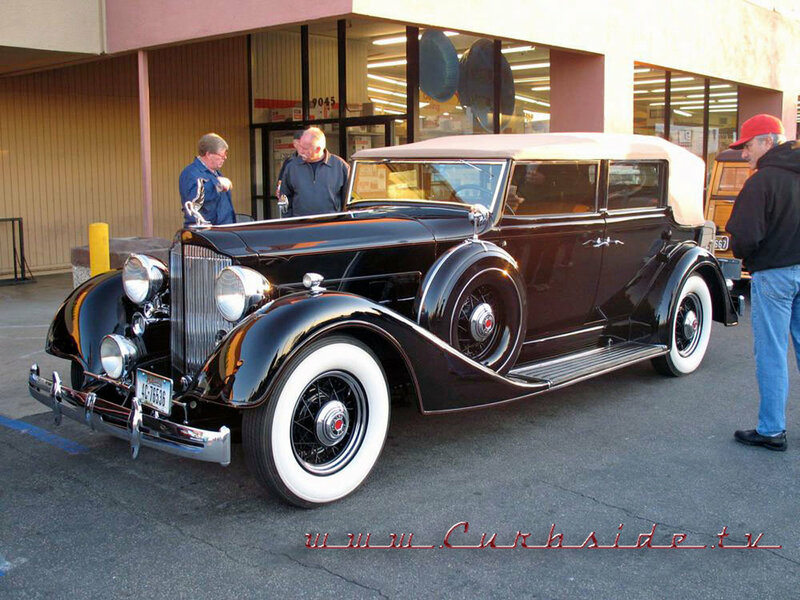 The sporty new Packard featured snazzy chrome-plated wire wheels, sleek, unadorned styling and a luxury interior, creating an instant collectible. Unfortunately, the Caribbean was expensive to build and production was limited to 750 cars. The company had a good year, then a bad one. Like its fellow independents, it thrashed in death throes, struggling to compete against much larger and more diversified competitors General Motors, Ford and Chrysler. 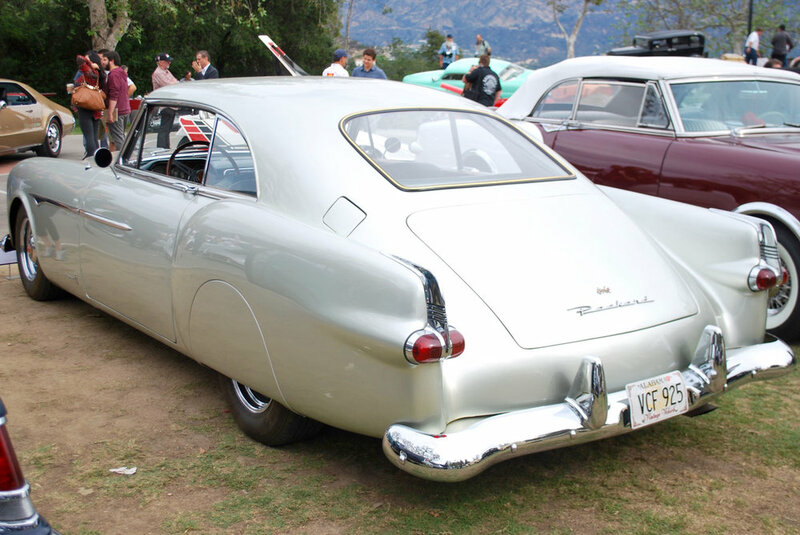 Desperate to survive, Packard merged with Studebaker in 1954 and brought out its first V8 in 1955. Sales improved but it was too little, too late. Studebaker was struggling, too, like two drowning men clinging to each other. Though, like century plants that send up one spectacular blooming stock before they wither, the company debuted one final spectacular car, the 1956 Predicta, a proposed car of tomorrow that still dazzles with space-age charm at the Studebaker Museum. 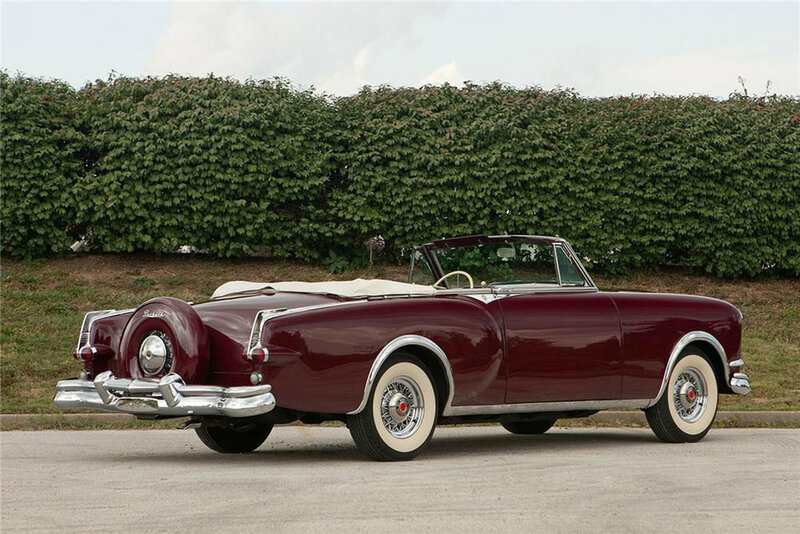 Packard stepped up its game in 1955-56 with new styling, optional three-tone exteriors, an amazing four-wheel torsion bar suspension, and finally, a powerful overhead valve V-8. But sales still lagged. 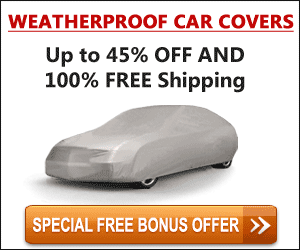 There were quality control problems and rumors the brand was fading along with Studebaker’s own struggles. It was late for the brand’s revival, but Studebaker tried a Hail Mary pass, badge engineering its own cars as pretend Packards, building wagons, sedans, and hardtop coupes for the 1957-58 model years. An entrepreneur attempted a Packard revival in 1981, but the prototype was too ungainly looking to attract much interest and the idea died with that single car.